CHICAGO (WLS) -- An amazing piece of Chicago history has been uncovered. The footage was found while searching a Dutch museum archive collection. The 55-second clip was part of a 14-minute film about World War I.
Ironically, the discovery comes at the approaching 100-year anniversary of the Eastland disaster. 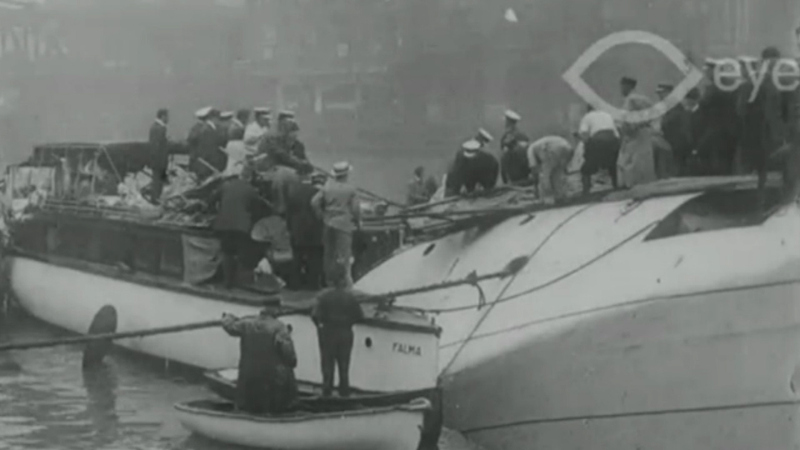 The boat capsized on the Chicago River on July 24, 1915, killing 844 people.